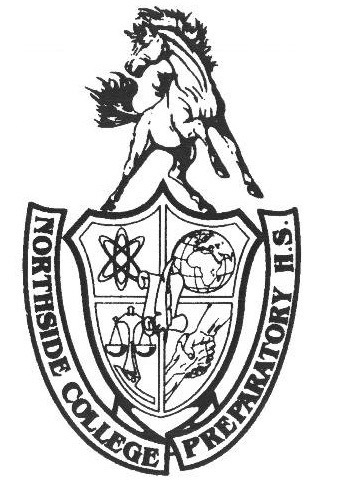 As the Spring sports season nears its beginning, Northside’s women’s and men’s water polo teams look to improve on the successes achieved in previous season. Although both teams have lost big names, such as Nick Chen and Beth Zelenka, Class of 2017, the Mustangs are still in a great position to dominate the 2018 season. Both teams aspire to take down Whitney Young and Lane Tech, the usual frontrunners for the City Championship. However, a strong junior class coupled with experienced captains may be the key for both of Northside’s water polo teams to make their mark. Facing tough competition in Whitney Young, Lane Tech, Curie, and Jones-Payton, the Mustangs will have to pull out all the stops for a strong season. The men’s team will be led by captains Adam Toepfer, Adv. 807, Bob Rogge, Adv. 801, and Sebastian Vondrak, Adv. 801. All three have been playing water polo since freshman year, and know the game better than anyone at Northside. The team looks to capitalize on the disappointments of last year’s city and sectionals performance. The Mustangs barely passed the opening rounds of both tournaments before being beaten by “lesser opponents.” Luckily, this year’s team is more developed and physically stronger than in the 2017 season. Big men like Taber Skiba, Adv. 902, Lukas Hoffman, Adv. 906, and Maksym Repetyuk, Adv. 901, are the juniors who will be the “muscle” behind the veteran seniors. With this rambunctious group, the Mustangs have a great chance in improving their city rank and beating their rivals. When asked about his hopes and dreams for the season, Toepfer said, “We want this season to be the hardest work yet and to have the best team we have had in the past few years.” Toepfer and company will soon have the opportunity to turn that dream into a reality. On the women’s side, the co-captains are Joanne Phan, Adv. 806, Stefani Betti, Adv. 902, and Nina Robinson, Adv. 911. Phan may be the most experienced of the bunch, but both junior co-captains will assist in leading the team to victory. The women’s water polo team fared well in the previous Spring season. The Mustangs finished a strong fourth place at the city championship and advanced deep into the bracket at sectionals. However, they suffered a bitter loss to their arch rivals Whitney Young. Some of their goals this season include beating the Dolphins and placing in the Top-3 at city. This will be difficult considering that the team has lost Beth Zelenka, Class of 2017, one of the star players from the previous season. On this, Phan said, “We have a great bunch of girls who have a chance to really succeed this season. Although we lost some great seniors last year, we have the skill and determination to win. I’m very excited to make a new set of memories and hopefully take down the Dolphins.” It will be intriguing to see if the Mustangs can improve on their previous successes, maybe even bringing home a women’s water polo city title. Northside’s water polo teams are definitely a must watch this season. Northside’s aquatics are one of the most neglected sports offered by the school. These athletes put in a great deal of hard work in order to have a winning record with a tough schedule and bring home city titles. This spring season, rather than only watching soccer and lacrosse, try heading towards the pool to witness the greatness of an underappreciated and very exciting sport.